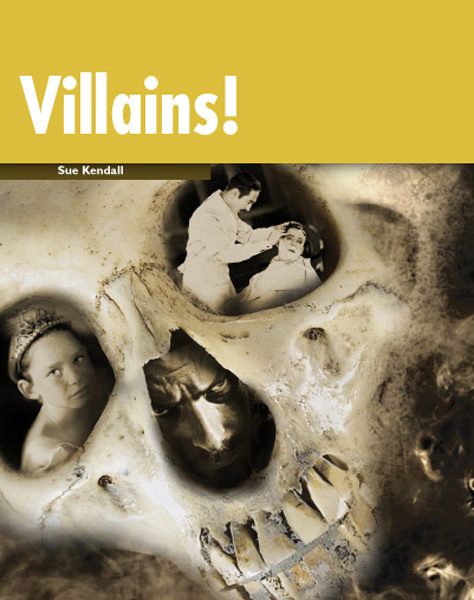 Home > Readers > Villains! Welcome to the macabre world of villains! In 19th-century Russia, the “mad monk” Rasputin is using his strange powers. How does he cure Alexei, the sick son of Tsar Nicholas? Visit 16th-century France, where Queen Catherine de Medici is testing her poisons on mummies from Egypt and planning the defeat of her enemies. In 18th-century England, strange things are happening to customers in the Fleet Street barber’s shop of the demonic Sweeney Todd. His neighbor Mrs. Lovett’s meat pies are the most delicious in London. But what is the secret ingredient inside them?